For these early Christian communities, the belief that Jesus had lived and died “in accordance with the scriptures” (1 Cor. 15:3, NRSV), as Paul phrased it, was no mere secondary issue. In fact, as Richard B. Hays contends in Echoes of Scripture in the Gospels, the first Christians were actually very concerned to show that, “Jesus’ teachings and actions, as well as his violent death and ultimate vindication, constituted the continuation and climax of the ancient biblical story” (2016, p.5). Among the many Old Testament texts that early believers drew upon to better understand the redemptive meaning of their Messiah’s life, death, and resurrection, the Suffering Servant songs of Isaiah 40-55 turned out to be among the most significant passages for them. John J. Collins, a professor at Yale Divinity School, points out in his essay “A Messiah Before Jesus?” that we shouldn’t be too surprised to discover that, given the movement’s origins in the rich and varied world of Second Temple Judaism, many aspects of early Christian belief and practice had parallels in other forms of Judaism at the time (2006, p.19). This brings us to the question we will explore in this essay: did early Christianity’s messianic interpretation of Isaiah’s Suffering Servant figure have any parallels in other parts of Second Temple Judaism? The topic of possible pre-Christian messianic readings of the Suffering Servant passages came to a degree of prominence soon after the discovery of the Dead Sea Scrolls at Qumran (Collins, 2006, pp.15-17). The French scholar André Dupont-Sommer claimed in 1950 that the Teacher of Righteousness, “the revered leader of the sect described in the scrolls,” was a messianic figure who was “persecuted, tortured, and put to death,” and that the teacher applied the Suffering Servant songs to himself (pp.16-17). Most modern commentators on the Dead Sea Scrolls now agree that Dupont-Sommer’s controversial understanding of the Teacher of Righteousness was erroneous in at least some respects (Collins, 2006, pp.16-18). His interpretation of the pesher on Habakkuk, for example, which he believed taught that the teacher was killed yet nevertheless “swallowed” his adversaries after his death, seems to have exceeded the textual evidence. It should be noted that while the teacher did identify himself with the Suffering Servant, he doesn’t seem to have conceived of his suffering as having atoning value for others. There is more than enough reason to believe that the teacher was identified as a prophet, but Collins maintains that he doesn’t seem to have been viewed as a messianic figure (pp.32-33). The Community Rule, which is assumed by most to “presuppose the activity of the teacher,” nevertheless speaks of “the coming of the prophet and the messiahs of Aaron and Israel” (1QS 9.11) as being events still yet to come. While he obviously played an important role in the community, the teacher never seems to have been identified as either of these messianic figures. Therefore, Collins argues, “it is misleading to speak of him [the teacher] as the eschatological prophet or as a messiah, in the definitive eschatological sense” (p.33). Are there any other potential sources of evidence for pre-Christian messianic readings of the Suffering Servant? In his essay, Collins brings up another potentially relevant text: the targum of Isaiah (2006, p.30). While this text dates to the 2nd century AD, it may contain older traditions within it. For our purposes, what’s noteworthy about the targum of Isaiah is that in Isaiah 42:1 the word translated as “my servant” is glossed with “the messiah” (p.30). At first, this seems like striking evidence for a pre-Christian messianic reading of the Suffering Servant (assuming it dates to prior Christianity’s origin). However, in the targum the meaning of the Servant is consistently reinterpreted so that the Servant is no longer seen as a suffering figure. In the targum, the Suffering Servant becomes a Triumphant Servant who causes his wicked enemies to suffer. Hence, the targum identifies the Servant with the Messiah, but marginalizes the suffering dimension of the Servant’s identity (p.30). There are of course other works of Second Temple Jewish literature that would be worth examining if there was time, but already our efforts have shed some degree of light on the matter. In the Teacher Hymns, we find evidence that the Teacher of Righteousness identified himself with the Suffering Servant, but it isn’t likely that he was believed to be a messiah. In the targum of Isaiah, the Servant is identified as the messiah, but he is no longer associated with suffering. Instead, he is associated with victory and triumph. The two sources we have looked at—the Dead Sea Scrolls and the targum of Isaiah—suggest that, while there undoubtedly were many beliefs and practices shared by early Christians and other parts of Second Temple Judaism, interpreting Isaiah’s Suffering Servant in a messianic way doesn’t seem to have been one of them. We are far from alone in reaching this conclusion. Stanley Porter states in his recent work, Sacred Tradition in the New Testament, that “there apparently was no tradition before the time of Jesus for understanding these passages [Isaiah 42-53] as describing a suffering messiah,” adding that “when the messiah is being spoken of anywhere in the OT or in Jewish literature, rarely is it part of the messiah’s task to suffer (2016, pp.79-86). John J. Collins himself, commenting on one of the most significant chapters of the Servant songs, reaches the same conclusion: “It is not apparent… that Isaiah 53 was understood as a messianic prediction before the crucifixion of Jesus” (2006, p.28). 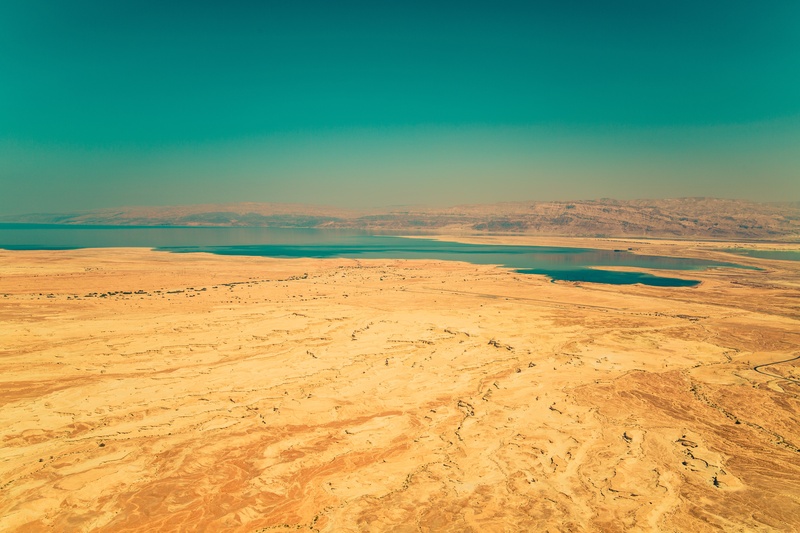 As we approach the end of this essay, I would like to turn and spend some time reflecting on a few of the hermeneutical questions that become relevant when thinking about Christian usage of the Old Testament. R.W.L. Moberly gets close to the heart of the matter when he describes the challenge of interpreting the book of Isaiah as being “to have historical respect for the distinctive Isaianic voices in their own right… [and to] combine that with taking seriously a Christian understanding of God in Christ” (2013, p.162). That is no easy task, but it is a worthwhile one. I’d like to suggest that healthy Christian theological interpretation of the Suffering Servant passages in Isaiah (and the Old Testament in general, for that matter) requires the hard, painstaking work of being attentive to both the historical context of the passages themselves, and the literary/canonical contexts that they acquire when received as part of a larger canonical whole. I do not have to believe that Second Isaiah had an explicit knowledge of the crucifixion of Jesus of Nazareth to believe that he was part of a larger narrative that finds its final, though not its sole, meaning in Christ… Viewed from the perspective of the way things turned out, his oracles were revealed to have added dimensions of significance that no one could have guessed at the time. Steinmetz’s manner of approaching Isaiah allows him to give full space to what Isaiah had to say to his original audience while still letting him participate in the Christian task of theological interpretation that is compelled by Isaiah’s existence as a part of the larger Christian canon. Richard B. Hays describes this kind of hermeneutical approach as one which “locates the… intertextual linkage between Israel’s Scripture and the Gospels not in human intentionality but in the mysterious providence of God” (2016, p.359). For me, the retrospective hermeneutical approach exemplified by the writings of people like Steinmetz and Hays has much to recommend it, and it provides a helpful path for understanding how early Christians used Isaiah, along with the rest of Israel’s Scriptures, to better understand and embrace the story of God’s reconciliation as definitely revealed in Jesus Christ. Collins, John J. “A Messiah Before Jesus?” In Christian Beginnings and the Dead Sea Scrolls, by John J. Collins and Craig A. Evans. Grand Rapids, MI; Baker Academic, 2006. Hays, Richard B. Echoes of Scripture in the Gospels. Waco, TX: Baylor University Press, 2016. Hengel, Martin. Between Jesus and Paul: Studies in the Earliest History of Christianity. Eugene, OR: Wipf and Stock Publishers, 2003. Moberly, R.W.L. Old Testament Theology: Reading the Hebrew Bible as Christian Scripture. Grand Rapids, MI: Baker Academic, 2013. Porter, Stanley. Sacred Tradition in the New Testament: Tracing Old Testament Themes in the Gospels and Epistles. Grand Rapids, MI: Baker Academic, 2016. Steinmetz, David C. “Uncovering a Second Narrative: Detective Fiction and the Construction of Historical Method.” In The Art of Reading Scripture, by Ellen F. Davis and Richard B. Hays. Grand Rapids, MI: Wm. B. Eerdmans Publishing Co., 2003. Wright, N.T. “Messiahship in Galatians?” In Galatians and Christian Theology: Justification, the Gospel, and Ethics in Paul’s Letter, by Mark W. Elliott, Scott J. Hafemann, N.T. Wright, and John Frederick. Grand Rapids, MI; Baker Academic, 2014. This entry was posted in Essays and tagged David C. Steinmetz, Dead Sea Scrolls, Figural Interpretation, Intertextuality, Isaiah, Jesus, John J. Collins, Richard B. Hays, Suffering Servant, Targum of Isaiah, Teacher of Righteousness by joecrow91. Bookmark the permalink. I love the Logic here. Clearly we have sources saying the Suffering Servant was the Messiah, but you just insist they didn’t notice the Suffering Part. The only Problem Christianity faces is that Jewish sources saw the Suffering Servant as Messiah Ben Joseph not of David, the Firstling Bullock of Deuteronomy 33, which Numbers 18 tells us every firstling bullock was Sacrificed to YHWH.